Siddhesh Dinesh Lad is an Indian cricketer who was born on 23 May 1992 in Mumbai. Currently, Lad plays domestic cricket for Mumbai and serves his team as a middle order batsman. Owing to his determined and tenacious batting in lower middle-order, he has saved a number of matches for his team and often called “Crisis-Man” by the fans and media. Along with batting, he can bowl too and often troubles batsmen with his right arm off break. Lad’s father is a cricket coach and he has coached many Mumbai cricketers including Indian international player Rohit Sharma. Under his father's guidance, Lad had started playing cricket at an early age. After a successful period of school cricket, he also captained Western Wolves team in the University Cricket Championship. Lad made his domestic debut in a match of Vijay Hazare Trophy on 17 February 2013. Playing his debut game against Saurashtra, he made an instant impact by scoring a hundred. He hit 6 sixes in his innings and scored 115 runs with the strike rate of 126.37. He played 3 List-A games in the 2012-13 season and scored 180 runs at an average of 90. 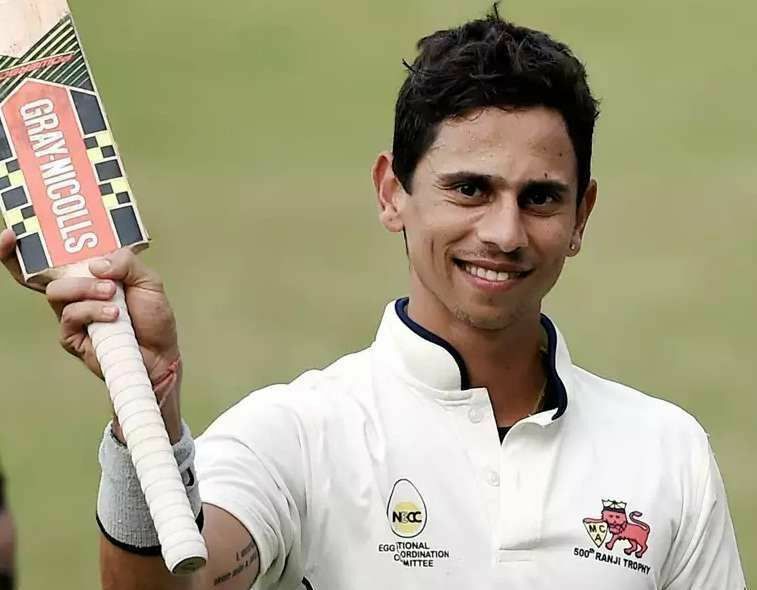 Lad made his Ranji debut against Punjab in November 2013 and showed his class in the very second game by hitting 74 in the first and 85 in the second innings. He battled strong bowling attack of Delhi studiously in his both fifties. In the season of 2014-15, Lad played 7 first-class games and scored 562 runs at an average of 42.23 whereas in 2015-16 season, he scored 817 runs in 12 matches. His best inning till date came in the final of 2015-16 Ranji season. Playing against Saurashtra, he scored 88 runs in 101 balls and pulled back his team from the brink of defeat. His inning also included 5 sixes to ensure the title victory. In the recent season of Ranji, he has been impressive, scoring 652 runs in the 7 games at an average of 59.27. In the same season, Mumbai were playing their 500th game against Baroda. They were on the verge of losing but Lad once again emerged as the “Crisis Man” for his team and salvaged a draw, scoring 71 not out in his 238 balls long inning. Lad was acquired by Mumbai Indians in 2015 IPL auction but didn't find a place in the playing eleven as Mumbai already had a number of T20 specialists. In the recent auction of 2018 IPL, he has been again bought by Mumbai Indians for ₹20 Lakhs. Lad has played 39 first-class games till the time for Mumbai and got 2,767 runs at an average of 43.23, whereas in List-A matches, he has scored 404 runs at 33.66. He also has 7 centuries and 18 half-centuries in his name in domestic circle.